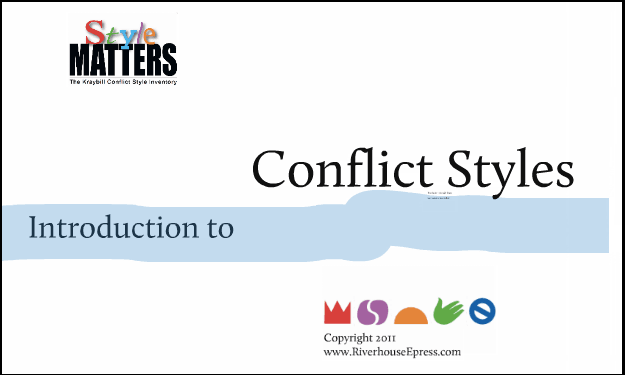 Eleven slide "Intro to Conflict Styles" in Prezi presentation. Same content as our Powerpoint by the same name, but expanded by 25% and in a more engaging format. Warning: It is hard to go back to Powerpoint after you see how audiences respond to the movement of a Prezi! View online now - click on "Start Prezi" below. Then click on button on lower right to expand to Fullscreen.